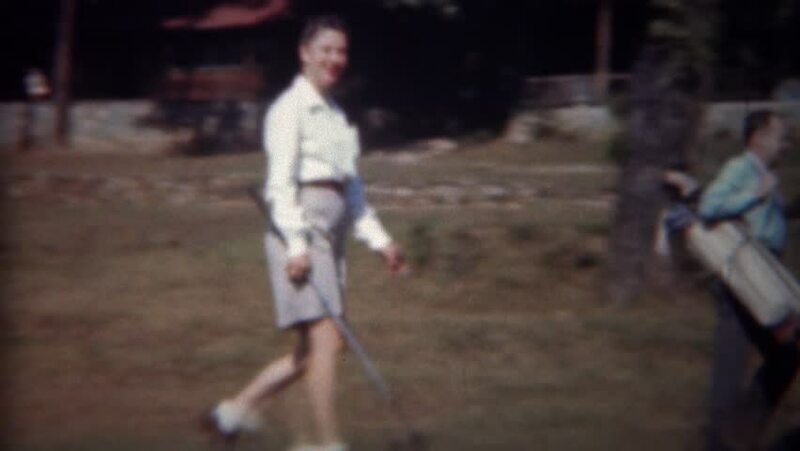 TRYON, NC 1945: Man caddy woman golfer carries golf clubs bag down fairway. hd00:27LANCASTER, PENNSYLVANIA, 1967: Teenage girls have fun jumping on an in ground trampoline in the back yard in the summer of 1967. 4k00:05CAMDEN, NEW JERSEY 1964: children play in a body of water on a sunny day with lots of people on a beach. hd00:20MEXICO CITY - DECEMBER 19: Ringside view of a lucha libre, famous mexican wrestling competition at Arena Mexico on DECEMBER 19, 2011 in Mexico City, Mexico. 4k00:13A pigeons on the old town square in Warsaw. June 2018.